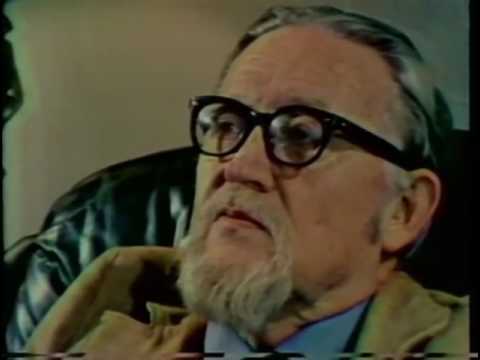 Guy Sims Fitch had a lot to say about the world economy in the 1950s and 60s. He wrote articles in newspapers around the globe as an authoritative voice on economic issues during the Cold War. Fitch was a big believer in private American investment and advocated for it as a liberating force internationally. But no matter what you thought of Guy Sims Fitch’s ideas, he had one big problem. He didn’t exist. Guy Sims Fitch was created by the United States Information Agency (USIA), America’s official news distribution service for the rest of the world. Today, people find the term “propaganda” to be incredibly loaded and even negative. But employees of the USIA used the term freely and proudly in the 1950s and 60s, believing that they were fighting a noble and just cause against the Soviet Union and the spread of Communism. And Guy Sims Fitch was just one tool in the diverse toolbox of the USIA propaganda machine. “I don’t mind being called a propagandist, so long as that propaganda is based on the truth,” said Edward R. Murrow in 1962. Murrow took a job as head of the USIA after a long and celebrated career as a journalist, and did quite a few things during his tenure that would make modern journalists who romanticize “the good old days” blush. But even when USIA peddled its own version of the truth, the propaganda agency wasn’t always using the most, let’s say, truthful of methods. Their use of Guy Sims Fitch—a fake person whose opinions would be printed in countries like Brazil, Germany, and Australia, among others—served the cause of America’s version of the truth against Communism during the Cold War, even if Fitch’s very existence was a lie. I recently filed a Freedom of Information Act request with the CIA to get more information about Guy Sims Fitch, this fictional character that journalists and editors of the USIA would use to promote American economic interests abroad. The twist? The CIA wants to make sure that the privacy rights of this fictional character aren’t violated. Or, perhaps, that the privacy rights of the people who wrote under that name aren’t violated. The short version? They’re toying with me.